How can I create a new external booking engine? HOME > SETUP AREA > How can I create a new external booking engine? i.e. : domain language, default country, specific offers and layout. This code can be inserted in every website page (or a blog for example) in which you wish to have the hotels Booking Engine gadget. STEP 1: First you need to go to the SETUP > External Booking Engine. STEP 2: Click on New button. The default country that you wish to have on your booking engine. STEP 5: On the Booking Engine Offers section, you ca choose the offers you want to include on the booking engine. STEP 7: Click on the button. 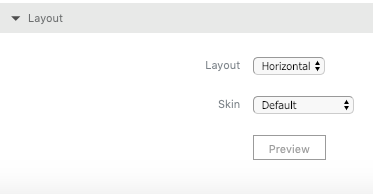 STEP 9: On the view external booking engine tab, scroll down until the layout settings. 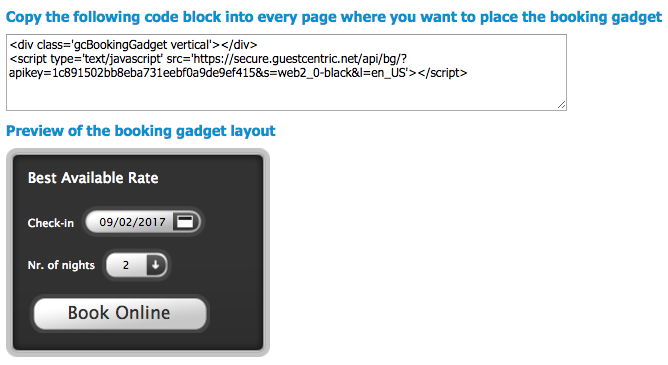 Layout can be "Horizontal", "Vertical" or "Link"
Skin can be the "Default" one, the template "Corporate" colour, web "Black" or web "White"
STEP 10: Copy the code into every page where you want to insert the booking gadget.